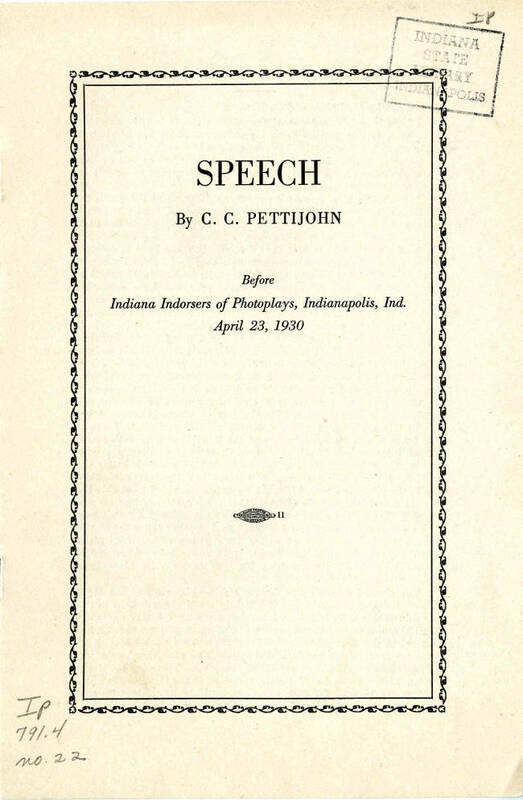 Organized by Mrs. Gertrude Ross of Indianapolis in 1915, the Indiana Indorsers of Photoplays, a volunteer organization, had one mission – promote, support and advertise motion pictures of good quality, especially for children. Beginning with only twenty members, by 1917 the Indorsers grew and incorporated in 1922, influencing other the creations of similar groups across the state and the nation. Working together, the members would attend motion pictures, then meet and vote as a group rather than as individuals to determine which ones they would endorse or not. The Indorsers invited speakers to their meetings and to general groups to educate people of how to judge motion pictures for themselves and published pamphlets listing recommended movies. They published The Bulletin News, a monthly bulletin with information about the motion picture industry, reviews of films and listings of local theatres. 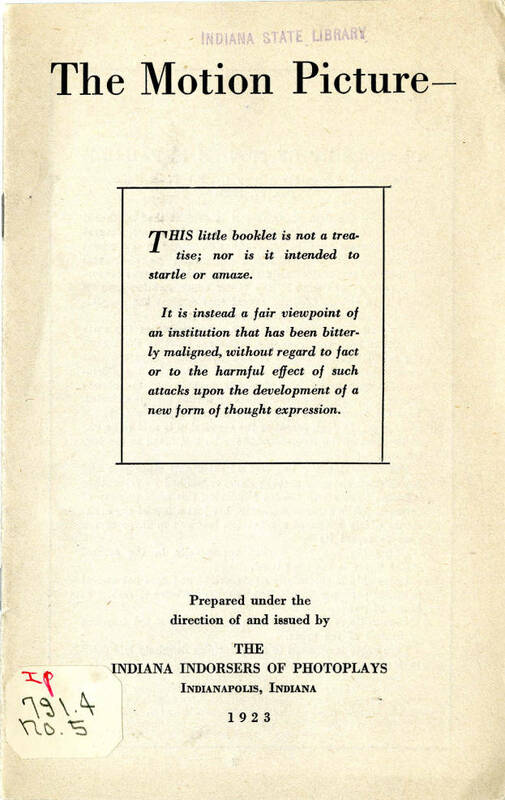 It was sent to homes, libraries, colleges, universities and other interested organizations. Eventually, the Indorsers worked with Will Hays, the first chairman of the Motion Picture Producers and Distributors of America. 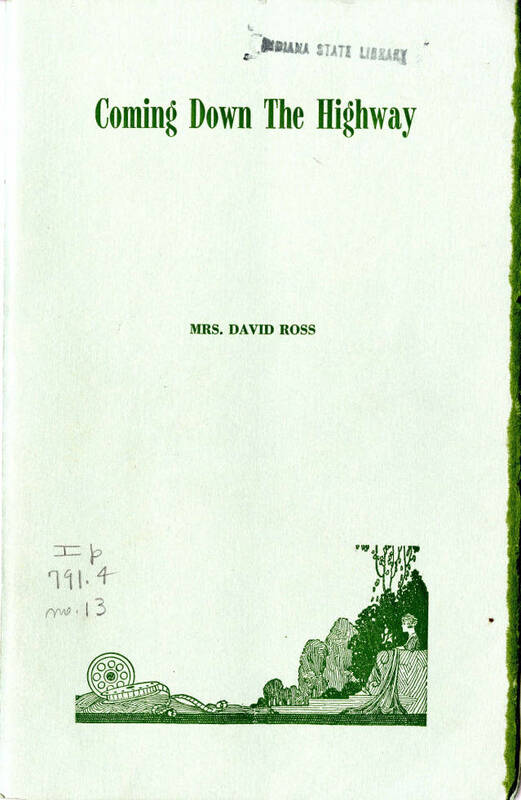 In her 1945, biography, “Coming Down the Highway: Recollections of Mrs. David Ross,” she recalled their work as educational rather than censorship. “…We were the first to start a constructive program of motion picture appreciation, which has been taken up all over the country. 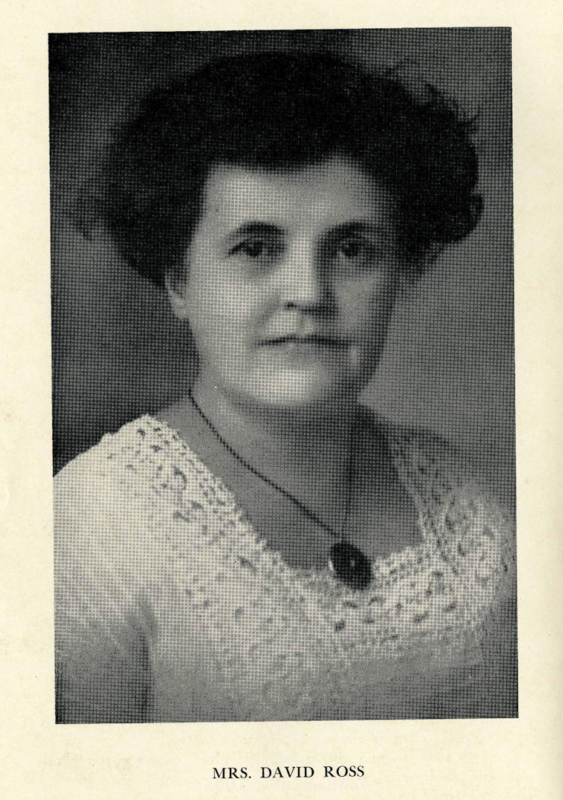 We were not reformers, but educators.” Ross would serve as the group’s president for 19 years until her death. 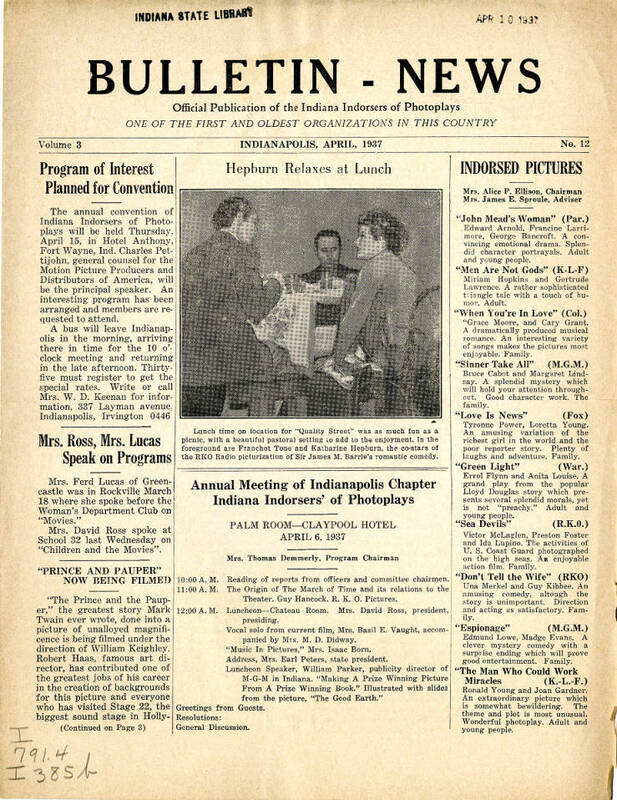 To learn more about the Indiana Indorsers of Photoplays, you can find materials published by them in our digital collections. Annual reports, issues of The Bulletin News, and Ross’ autobiography are all available here. In our Rare Books and Manuscripts collection, we have the Will Hays Collection, which houses materials from his time as president of the Motion Picture Producers and Distributors of America (MPPDA). The collection includes meeting minutes, statements about censorship, annual reports and speeches regarding the motion picture industry. The collection also includes information about the motion picture industry during World War, the use of motion pictures for educational purposes and much more. You can find our collection finding aid here. 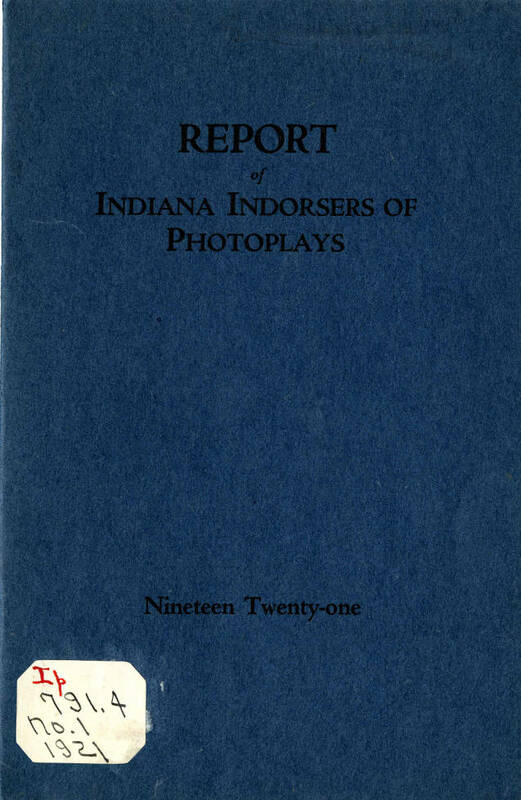 This entry was posted in Indiana Division and tagged censorship, Education, film, gertrude ross, indorsers, indorsers of photoplays, motion pictures, will hays by indianastatelibrary. Bookmark the permalink.